Happy May! This is the first time I can remember pulling this card for the month, which I did online with many of you on New Year’s Eve, during the 2017 Annual reading. For the entire month, Archangel Raphael will be working with each of us to address any area of our lives that need healing in mind, body, and spirit. Because everything is connected, know that the ending result will be an uplifting, more harmonious life. Be open to those nudges that inspire you to take a class, change your diet, get out in the fresh air, or heal a relationship, past or present. This is Archangel Raphael working with you and supporting your wishes and prayers. 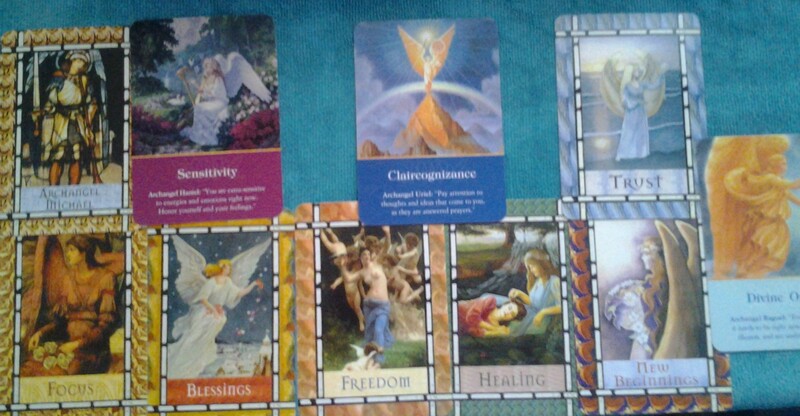 For anyone doing any kind of healing work, Archangel Raphael is always is by your side. This month there is a greater focus on this work. Ask yourself, and Archangel Raphael how you can deepen your connection to him. In doing so, it will take your work to an entirely different level. Mercury goes direct on May 3rd, but we will still be feeling the effects until we’re clear around the 10th. Be mindful of communications both sending and receiving. Call on Archangel Gabriel to allow any communication to be loving, kind, and compassionate. Full Moon is Wednesday, May 10th, 3:42 p.m. MDT. New Moon is Thursday, May 25th at 1:45 p.m. MDT. The Monthly Forecast from Lena Stevens at the Power Path will be posted tomorrow. The beginning of the week starts off with the angels wanting us to spend some time outdoors. Breathing the fresh air and clearing your personal energy will help create a freshness to your week. Be aware of the everyday blessings in your life as well as the big ones. Sometimes the seemingly small blessings create the biggest impact. For those of us sensitive to the moon cycles, Archangel Haniel can help us be more grounded and balanced. Midweek Archangel Jophiel would like us to spend sometime beautifying our space. By getting rid of clutter, and donating unused and unwanted items, we create new space to allow more room for the good stuff. You are already everything you need, to be who you already are. Emerge with confidence. Listen and trust the Divine Guidance being offered. This weekend is a great time for any kind of group get together or celebration with family and friends. Archangel Ariel reminds us to be courageous when standing up for ourselves, and our beliefs. We are always supported when we do. Have a great week. As always, I’m sending you good vibes! 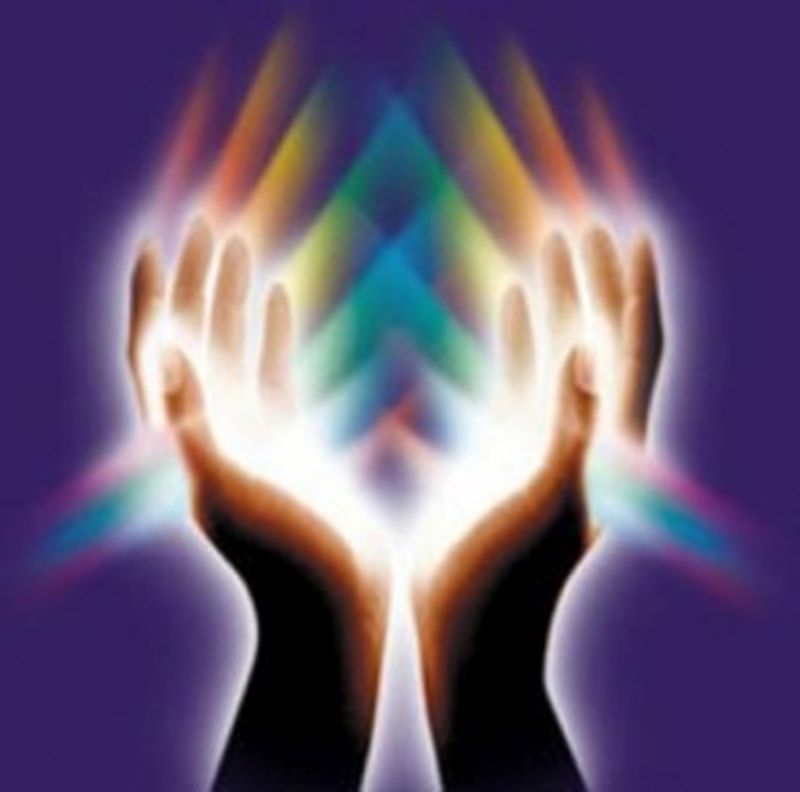 * Prior to the first class meeting each participant will meet with Reiki Master Teacher Carolan Dickinson to receive their Reiki Attunement and Manual. Please contact instructor directly at carolan903@gmail.com, or (480) 229-2315 to schedule. Appointments available beginning May 15th. In the traditional Usui Reiki method all attunements are completed in one session to the Reiki Master Teacher level. It is Carolan’s philosophy that each attunement is a private and sacred ritual.